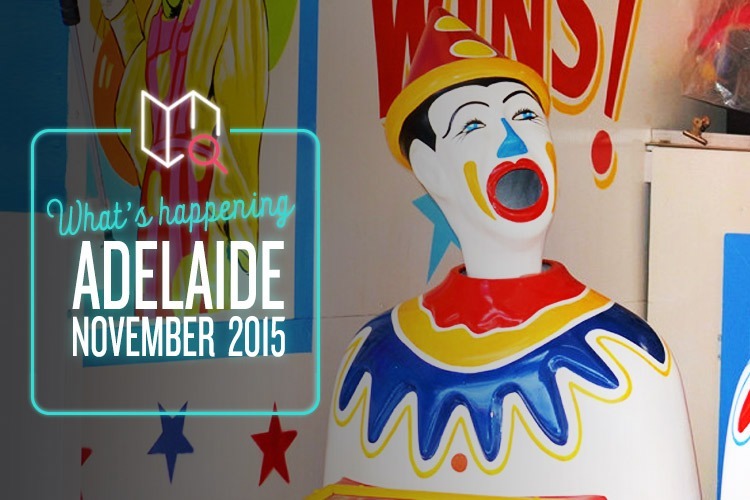 Get your hats and sunnies ready, Adelaide – this November’s all about fun in the sun! The Kapunda Twilight Market is the epitome of the honest, down-to-earth country town market. Set at sunset in the beautiful historic township of Kapunda, the markets are home to a huge range of stalls offering clothing, crafts, antiques, fresh local produce and, of course, delicious food. The key word here is ‘local’ – the markets are focussed on supporting craftsmen and women and produce-growers from around the region. Wanna know what’s even better? Market-goers will be treated to live performances by some of the finest local musicians. There’s something fun for the whole family at the Radelaide Funtastic Family Fun Day! The Fun Day includes a wide variety of activities for kids, including a bouncing castle, chalk drawing competition and even a kids’ cooking class, hosted by celebrity chef Simon Bryant. Fill your bellies at the many international food stalls and wash it down with a freshly brewed coffee or drink from the bar. Now that’s a great day out. Movies in the Park – Coro Alive! This is no ordinary cinema. Bring the family and pack the popcorn, snacks and picnic rug, and head on down to Weymouth Oval to catch a screening of Disney’s animated hit Big Hero 6 under the stars. Arrive early to be treated to some pre-movie serenading by acoustic guitarist and singer Aden Quinn. And, if you’ve forgotten the picnic basket, there will be sausage sizzles, drinks, popcorn and lollies on offer! If you’re anything like us, you always wait until Christmas Eve to buy all your presents (oops). However, this year’s edition of the annual Semaphore Street Fair is your perfect chance to do all of that last-minute Christmas shopping. The Fair will be celebrating its 10th birthday this year as it closes off traffic down Semaphore Road and becomes lined chock full of stalls selling everything under the sun from fashion to jewellery, to arts and crafts and handmade edible goods.